Steel reinforcements and glass are the primary components of any ‘respectable’ skyscraper. 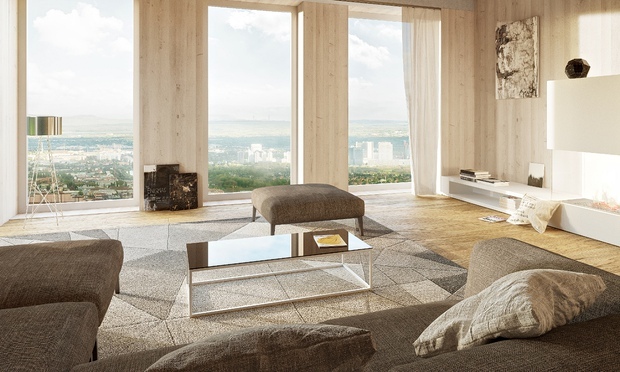 But architectural firm Rüdiger Lainer and Partner has put a timber spin to this conventional notion with their incredible 84 m (276 ft) high HoHo project – which is envisioned to be the tallest wooden skyscraper of its kind. To be constructed from 2016, the €60 million (around $67 million) project will be built inside the Seestadt Aspern area, in Vienna. And, in case you are wondering about the building’s scope, the mixed use HoHo Tower with its 24 floors will boast of a hotel, restaurant, apartment units and even offices. As for the impact of the ‘wooden’ building, there is obviously more to the HoHo Tower than its what may seem gimmicky. 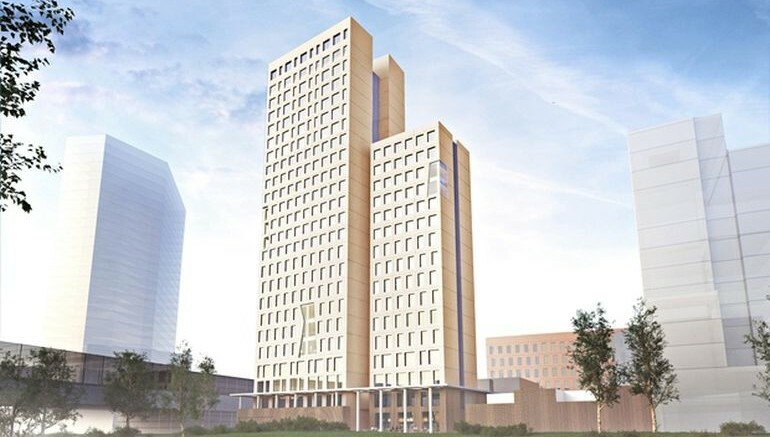 To that end, around 76 percent of the building is expected to constructed from wood – that equates to saving of a whopping 2,800 tons of carbon dioxide emissions. When translated to a comparative analysis – this magnitude of emission is equal to driving an automobile for 25 miles each day for a continuous 1,300 years. The figure is yet more remarkable when we consider that the very ambit of cement production itself accounts for 5 percent of all global carbon emissions. I think it is important everyone now in 2014 thinks in different ways. We have wood, which is a perfect construction material for building. It was used 200 years ago and it was perfect then and is perfect now. Image Credits: Rüdiger Lainer and Partner.